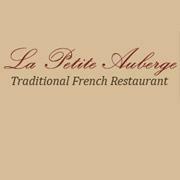 For memorable French cuisine in London, visit La Petite Auberge, Islington's finest bistro. Our authentic rustic bistro conjures up all of the charm and atmosphere of a traditional French tavern. Try our Creperie for delicious, fast French food. It's the perfect choice for your next light lunch! The best value French fare in town. Been here many a time and it is always good value for money, great service and a very enjoyable experience. This is the fifth time we have eaten here and the first time with these  friends . Happy to tell you that we all left feeling extremely satisfied with everything . It was a super  meal and what lovely service ! Many thanks to all the staff who gave us such a  special time . We had a very nice lunch. The service was good but we were puzzled by the additional £2 charge on the set menu which was apparently added because it was the weekend??? I don't think I've ever been charged extra for dining at the weekend before. Frankly,  I'd rather you just incorporate that charge into your prices in the first place. Very odd. Disappointing food. Wouldn't recommend it. Wonderful restaurant and very attentive staff. My only disappointment (and it is minor) is that the restaurant wouldn’t serve me the prawn dish with the tails removed........but the chicken was lovely! Delicious food, super quick serving and nice atmosphere. Perfect evening, highly recommend it. I had the wild boar paté then the wild venison stew, both specials. Both were simply presented and full of flavour. The stew was packed with tender venison and surprise flavours like juniper. Staff were very friendly and knowledgeable. Open, unpretentious atmosphere. All for a very reasonable price. Heaven! Very accommodating and friendly, nice atmosphere and helpful, friendly service. The food was very good - perfect for pre-theatre, would definitely recommend. Great restaurant! Gorgeous atmosphere. The service was professional and discreet. And the food was outstanding ! The food was average, service mediocre and with those dim lights too dark for me. I didn't enjoy anything about the evening at La Petite Auberge. I will not coming back. Atmosphere not your fault - we booked very early! Another really enjoyable and relaxed meal. Food and service were top drawer thank you! Always a delicious meal with a warm atmosphere and friendly staff. We never feel rushed, La Petite Auberge is a wonderful and yummy find.